Through extensive testing and my personal years of experience on the tennis courts, my favorite tennis racquet (so far!) is the Babolat Pure Strike. Easy to handle yet packed with power, this tennis racquet excels at all levels of the game from beginner to advanced. Any tennis player knows that your choice of tennis racquet governs every aspect of your tennis game. From power and spin to control and feel, the tennis racquet you choose affects everything. Today, I’m going to take you through what I feel are the top 5 best tennis racquets available right now. If you’re looking for a high-quality tennis racquet, you can’t go wrong choosing one from this list. The most popular racquet that Babolat sells, the Babolat Pure Strike took the tennis world by storm when it was first released. 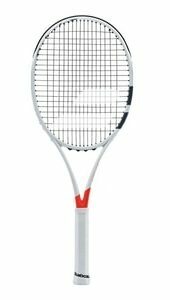 First and foremost a player’s racquet, the Pure Strike is perfect for players who like powerful serves and deep baseline shots. The newest versions of the Pure Strike incorporate a hybrid frame combining square and elliptical sections. This had the effect of giving more feel to more racquet and more control back to the player over where the ball goes. The Babolat Pure Strike tennis racquet feels good at every point on the court. From the baseline, the Pure Strike responds to shots with unbelievable power and control. At the net, the easy to control frame leads to punching through volleys and easily winning rallys at the net. On the serve, the mass and power of the Pure Strike leads to a little extra oomph and speed to each serve you hit. Every player can instantly pick up the Babolat Pure Strike and enjoy playing with this racquet which is the main reason it is #1 on our list of the top 5 tennis racquets. A racquet made popular by all time great, Serena Williams, The Wilson Blade Countervail is the “American muscle car” of tennis racquets. 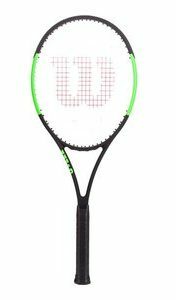 Wilson has truly produced a heavy hitting yet arm friendly racquet in the Wilson Blade Countervail. In the past, complaints have been made of the Wilson Blade series that off center hits were especially unforgiving and jarring to the arm. In the Countervail series, Wilson has taken this to heart and provided a more muted stringbed lessening vibrations. On the court, the Wilson Blade Countervail excels. From the baseline, players can blast ground strokes while still easily controlling shot placement and accuracy. Up at the net, the 11.5 oz’s of this racquet come into play, allowing players to easily control and hit volleys. Perfect for heavy hitting players looking for a balance of power and control, the Wilson Blade Countervail is easily one of the best tennis racquets around. As one player I talked to stated, “this frame is made for walloping”. While a lesser known brand name than the powerhouses Wilson and Head, Yonex has made a name for itself in the Yonex Ezone DR 98. 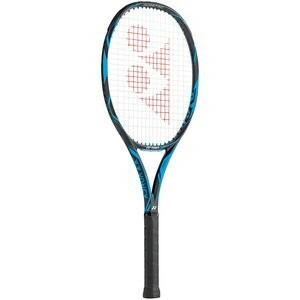 This Yonex tennis racquet is consistently ranked among the best tennis racquets in recent years. 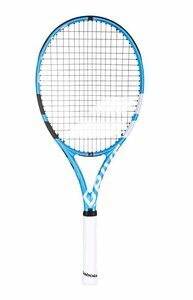 In a striking blue and black pattern, the Yonex Ezone DR 98 blends power and control excellently in it’s frame and stringing pattern. 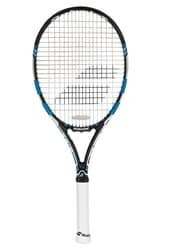 It weighs in at only 11.5 oz when strung resulting in a light and fast tennis racquet that is also stable at the net. Yonex researchers pored over research detailing where modern tennis players hit the tennis player (hint: it’s a little higher than where players in the past have) and specifically designed the Ezone DR 98 to cater to modern players. Yonex also incorporated additional shock damping technology resulting in a reduction of 50% in vibrations as compared to traditional frames. Balanced at 6 points head light, the Yonex Ezone DR 98 is built for players who like to have control and feel over the tennis ball. However, the combination of this control and the 98 sq in head size, results in a lightweight and powerful racquet designed for everyone from beginners to professionals. With an updated color scheme in 2018 compared to previous versions of the Babolat Pure Drive, this racquet doesn’t just look amazing, it feels amazing on the tennis court. With a name like Pure Drive, you can guess what this racquet is best known for: it’s power. From the baseline, the Babolat Pure Drive provides pop and additional power to any tennis ball you hit. While the Pure Drive is not typically known for it’s spin (the Pure Aero is best known for that), Babolat has attempted to work on that in more recent versions. In the latest version of the Babolat Pure Drive, players can use both power and spin to devastating effect. One aspect where the Pure Drive falls a little short is through the handling of the ball. Compared to other racquets on this list such as the Pure Strike and Yonex Ezone DR 98, the Pure Drive provides a muted feel to players. If you’re more interested in hitting the ball hard and fast though, the Babolat Pure Drive easily makes the list of best tennis racquets. One of Head’s most popular series, everybody from beginners to pro’s can play with Head Radical tennis racquet. The best among them though, the Head Graphene Xt Radical. Featuring a mix of control and power, any player can easily pick up this frame and outmaneuver their opponent. Instead of other racquets such as the Wilson Blade Countervail and the Babolat Pure Drive which focus purely on power, the Head Graphene XT Radical primarily focuses on providing players with a feel for the ball and control over shot placement. 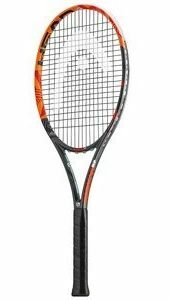 Featuring a classic 16 x 19 string pattern, the Graphene XT Radical provides plenty of spin for aggressive players. 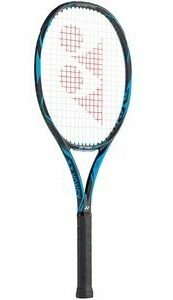 At the net, this racquet features an easily maneuverable and lightweight frame making getting in the right position for each volley easy. For it’s mix of power, control, and accessibility to players from each skill level, the Head Graphene XT Radical makes its way onto this list of the best tennis racquets. 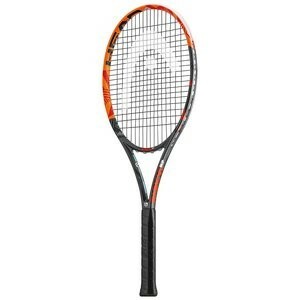 Now it is easy to find a tennis racquet that is very powerful or very arm friendly (feels good on the court). But what is hard to find is a tennis racquet that excels at each of these 3 characteristics at the same time. All of the racquets on our best tennis racquets list excel in each of these categories. Power is necessary in tennis to determine how far the ball goes. The more power a racquet has, the harder you can hit. In tennis racquets, there is a delicate balance between power and control. Too much power and every shot will go out of bounds. Too little power and while you’ll be able to easily control the ball, your opponent will hit winners on you all day. The best racquets feature a mix of power and control. In some cases, such as the Wilson Blade Countervail above, the balance is tilted towards power. In others like the Yonex Ezone DR 98, the balance is more aimed at control. However every racquet on our list features excellent power from the baseline, at net, and on your serve. I love judging racquets on control because it is essential to my tennis game. If you can’t place the ball accurately, whether you’re hitting a simple cross court shot or trying to pass somebody at net down the line, you won’t win matches. You can hit the ball as hard as you want but without accuracy, you’ll constantly run into unforced errors, the bane of any tennis professional’s existence. Control commonly comes down to the design and damping of the racquet. As described above, some racquets have a muted feel to the string bed. While this dampens the vibrations to the arm, this also results in less control over where the ball goes. The best racquets combine power and control for devastating results. Last but certainly not least, the feel of a tennis racquet is essential to how you play with it on the court. Most tennis professionals recommend trying out a new tennis racquet before buying it for exactly this reason. No matter the technical specs, if the racquet doesn’t feel right to you then it won’t be a good fit. This is more of a qualitative measure as compared to the other metrics used to generate this list. In this case, I’ve played with each of this racquets before and talked to numerous other players who have played with these racquets. In each case, this racquets are friendly to people of all skill levels. great.wouldn also note that string/string combo/tension is so important too.